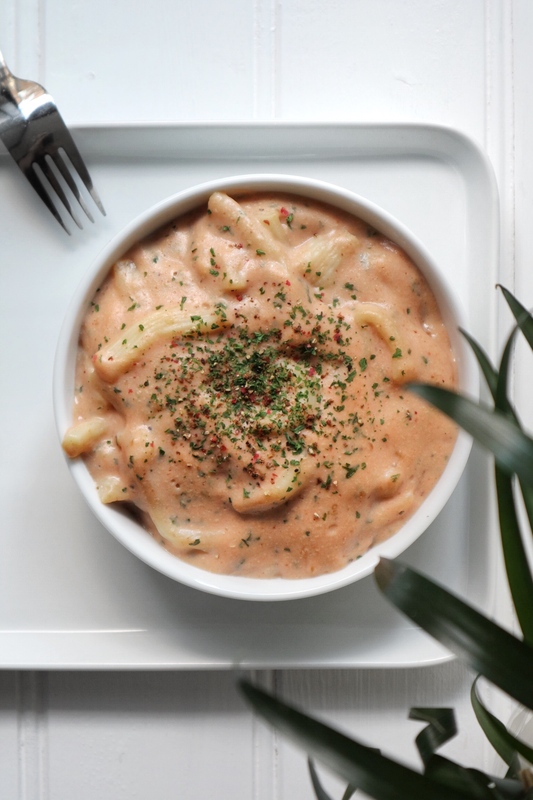 As crazy as it sounds – but yes, Mac n Cheese can be made keto… and vegan! They also help to keep you feeling satisfied after your dish, so they’re perfect to re-creayte this classical dish on keto basis. 1. Prepare the pasta according to packaging instructions. 2. Add the rest of the ingredients apart from the coconut oil to a saucepan and heat up on a medium heat whilst whisking to combine. 3. Once everything starts to bubble & thicken, remove the sauce from the heat and add in the coconut oil. 4. Heat it up again on the stove until the mix is thickening, then reduce the heat to a minimum and stir in the pasta. 5. Serve & top with some salt & pepper and you’re ready to enjoy! And how about adding some additions to the meal? I’m talking seitan pieces or edamame beans, what do you think?